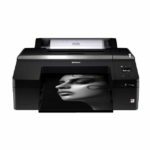 This page covers product news for the Epson SC-P5000. Keith has been to Epson UK to look at the printer, where the price is £1795 +Vat for the standard model and £2770 +Vat for the spectroproofer model. US Epson press info is included. 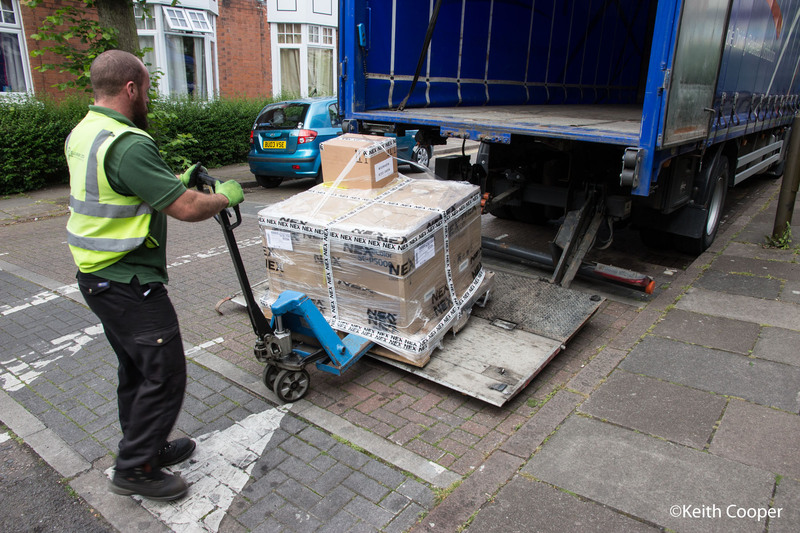 13th Our P5000 turns up from Epson UK – Let me know if you’ve any particular questions or features you’d like to know about? 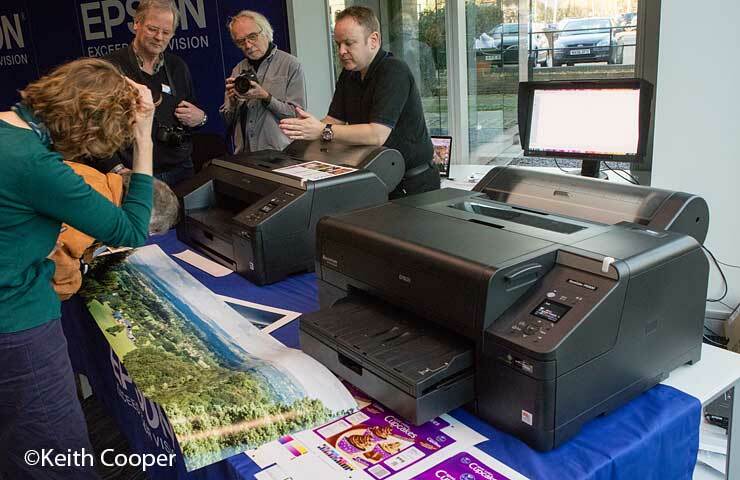 19th I’ve had a brief chance to look at the P5000 printer today at Epson UK. You obviously can’t check print quality at an event like this, but with exactly the same ink set as the P7000 I reviewed last year, I’m expecting similarly impressive results when I get a chance for a detailed review. Here’s the ‘business end’ of the all new print head. Since it’s not a user installable part, this is the closest I’ll get to one. Epson say that a lot of work in the design of the printer has gone into reducing dust ingress and accumulation and other factors that increase the reliability of the printer. The rear of the print head. Epson is once again setting the benchmark for professional imaging excellence with the introduction of the new 17-Inch Epson SureColor P5000. Incorporating the latest imaging technologies, the SureColor P5000 resets the standard for the desktop photography, fine art, graphic design, and proofing markets. 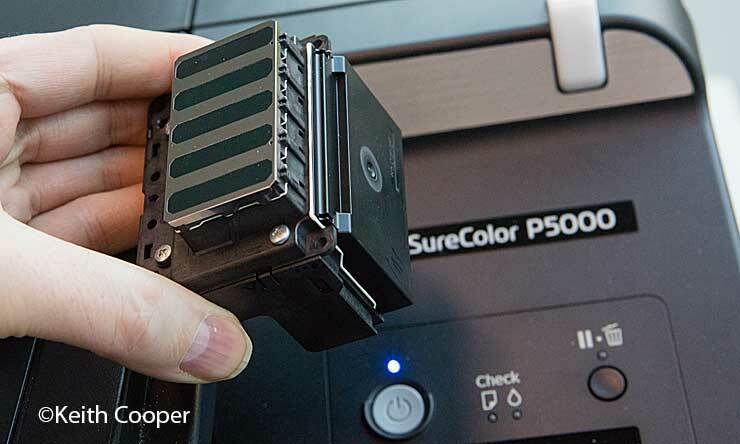 Leveraging the advanced Epson PrecisionCore TFP printhead and UltraChome HDX 10-color pigment ink set, the SureColor P5000 delivers outstanding output with an increased color gamut, higher-density blacks and twice the print permanence than the previous generation. A refined printer design includes improved dust and static control for reduced maintenance and increased durability and reliability. Optional SpectroProofer UVS – Developed jointly with X-Rite, the in-line spectrophotometer provides automated color management and verification-related tasks for a range of proofing applications. It supports all current illumination standards for UV and UV-Cut measurement and is UV selectable between M0, M1 and M2. When purchased with a violet HDX inkset for pre-press proofing the SC-P5000 can reproduce packaging, marketing materials and corporate colours with 99% Pantone Solid Coated Colour accuracy1. When specified with an HDX inkset with LLK, photographers and fine artists can use the SC-P5000 to reproduce the detail and colours of their artwork perfectly, as well as exact reproduction of 98% of Pantone Solid Coated Colours. The SC-P5000 offers new features to ensure reliable day-to-day operation and minimise maintenance. These include new covers and seals to limit dust intrusion, an improved automatic nozzle check and a guided cleaning procedure. 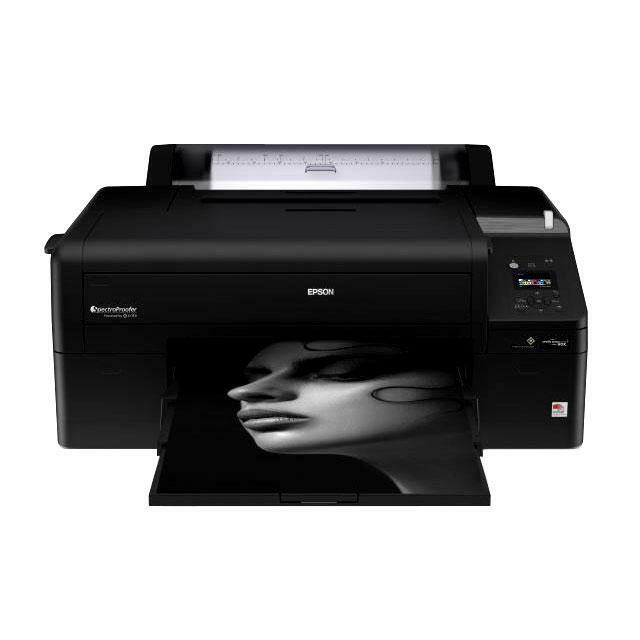 The SC-P5000 uses Epson’s latest ink technology to make high-resolution, long-lasting prints. 3.5pl droplet size and 2880x1440dpi resolution ensure crisp, detailed results, while Ultrachrome HDX inks offer much improved lightfastness. Setup and media handling is quick and easy thanks to an internal colour calibration sensor, simple media switching and a clear media handling guide on the display. 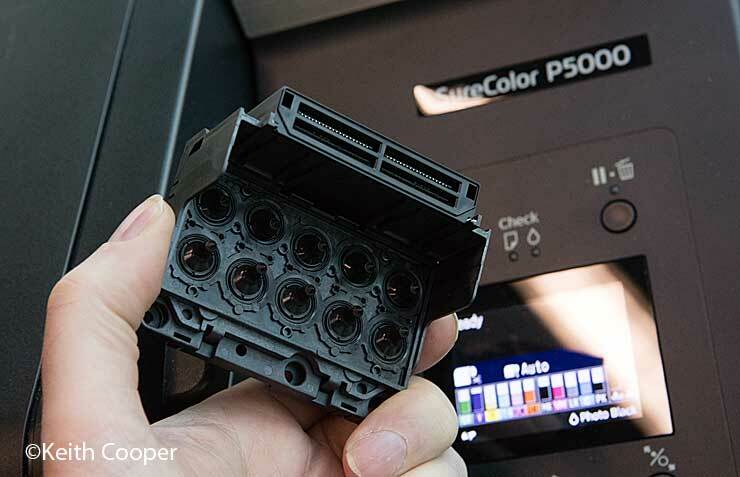 The SC-P5000 fits seamlessly into any proofing workflow and can be supplied with a SpectroProofer, which can handle automated colour proof checking.